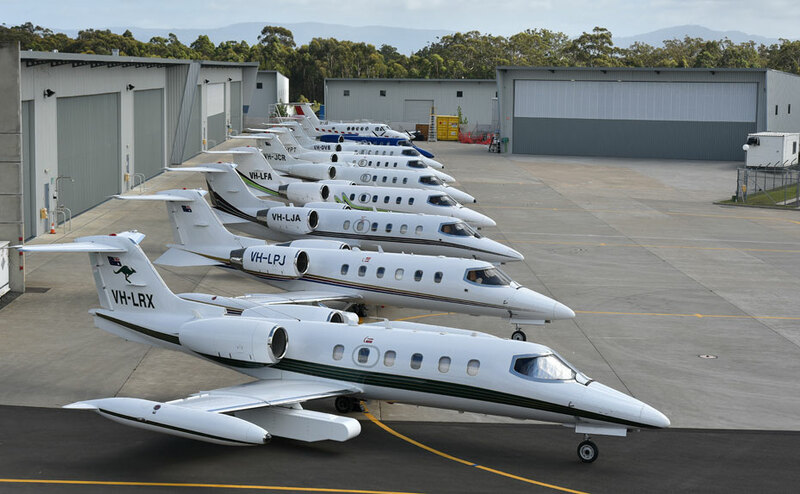 Air Affairs operates a fleet of 30 & 60 series Learjet aircraft to provide Jet Aircraft Support for Australian Defence Force training. Air Affairs firmly believes that having a common aircraft type is a key factor in maximising aircraft on-line availability, common spare parts, common pilot type ratings, check and training and approvals. Ultimately this results in more consistent and safer operations. All aircraft are equipped with ADS-B, TCAS/RVSM and several aircraft are fitted with wing hard points and specialised mission systems. Air Affairs’ Learjet's are also capable of fire scanning and surveillance if greater speed or responsiveness is required in addition to the specially modified Beechcraft B200 KingAir. Click here to view a 360 degree view of a Learjet 35 cockpit. You can use your mouse to drag the image to view different angles of the cockpit.